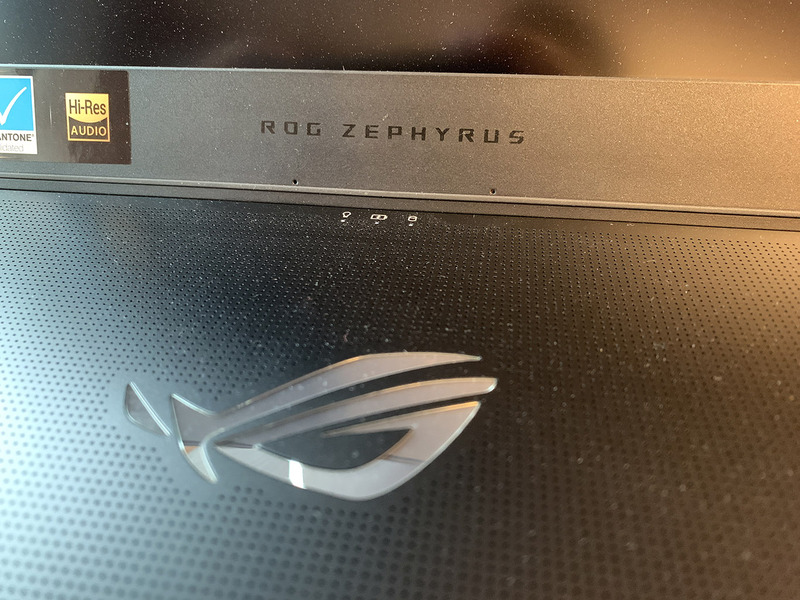 The Asus ROG Zephyrus S GX701G is a premium ultraportable gaming notebook that offers a large 17-inch screen but still maintaining a slim and lightweight profile that isn’t typical of gaming notebooks. 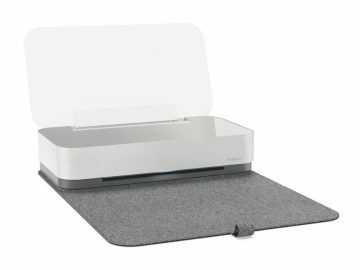 This is great though, and that means that gone are the days where you would have to struggle to carry around a heavy gaming notebook. 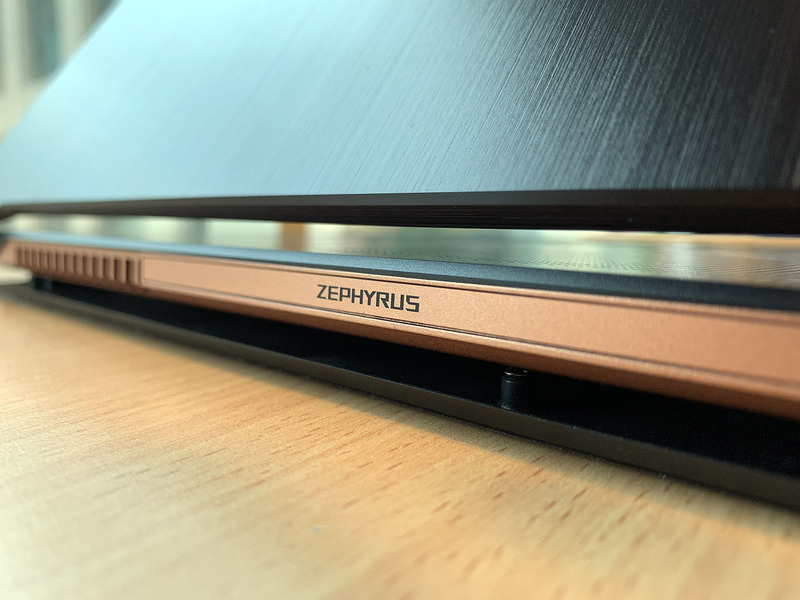 The GX701G’s brushed metal exterior gives it a more premium feel and while it’s less edgy compared to other gaming notebook designs, I like the simpler and less extreme look. 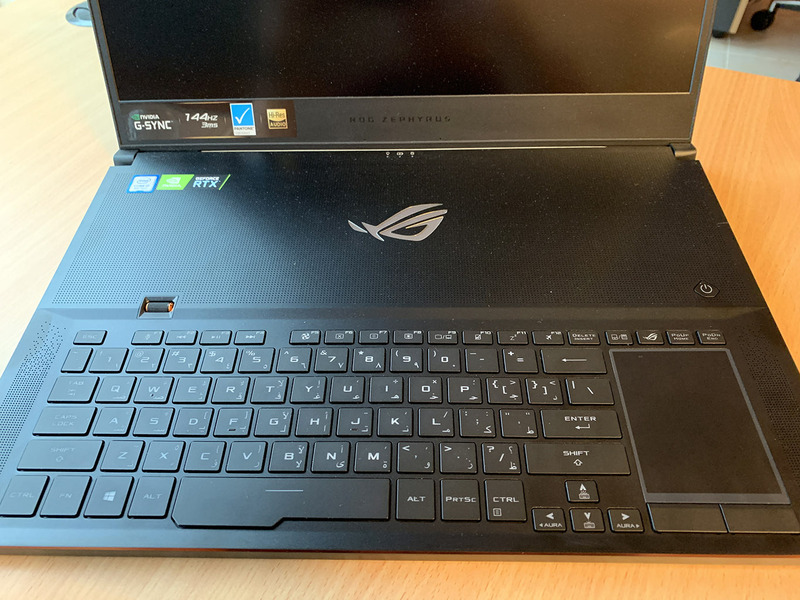 Opening the lid will reveal the keyboard in a forward position, which was done so that there’s improved handling of the surface temperatures on the notebook for better heat dissipation. It’s evident from the GX701G’s design that it can properly manage heat so it won’t be a problem for you even when you’re playing for hours. The notebook includes an Active Aerodynamic System (AAS) cooling design that optimizes the cooling performance. A large vent opens up at the bottom every time you open up the screen, which improves air circulation for better heat management. 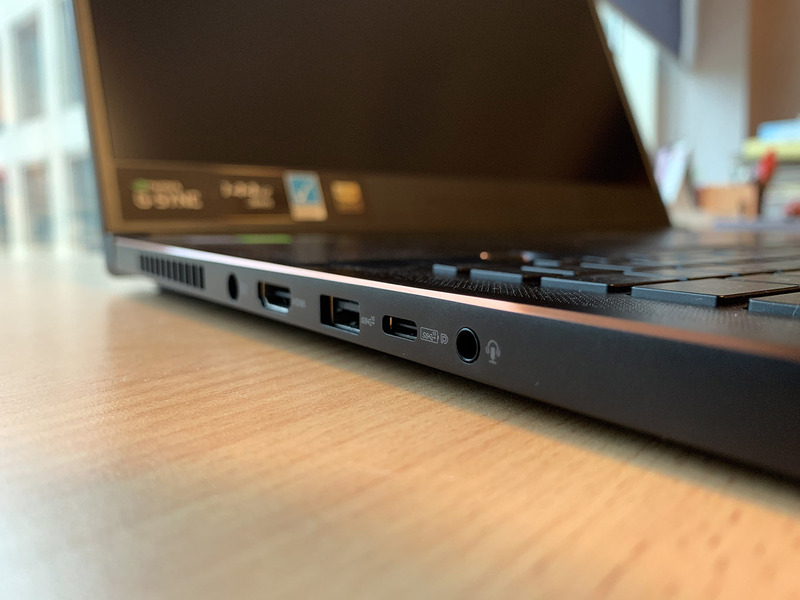 On the sides of the GX701G is where you’ll find the majority of the I/O ports that include USB 3.1 and USB Type-C. There’s also HDMI and a 3.5 mm jack, but no SD card reader was included. The keyboard also included RGB lighting with a small trackpad placed on the right. Not sure what they’re going for the small trackpad, but I never found it comfortable so I ended up using an external mouse when I was using the GX701G. The large 17-inch Full HD screen features an edge-to-edge design, enabling it to fit in a small 15-inch body. 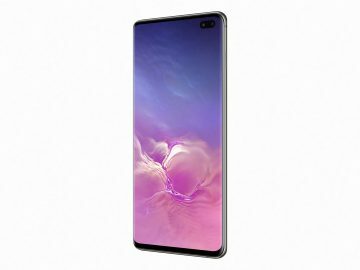 The matte anti-glare screen delivers decent colors with bright whites and dark blacks, and the added 144 Hz and 3 ms support make it ideal for playing games. 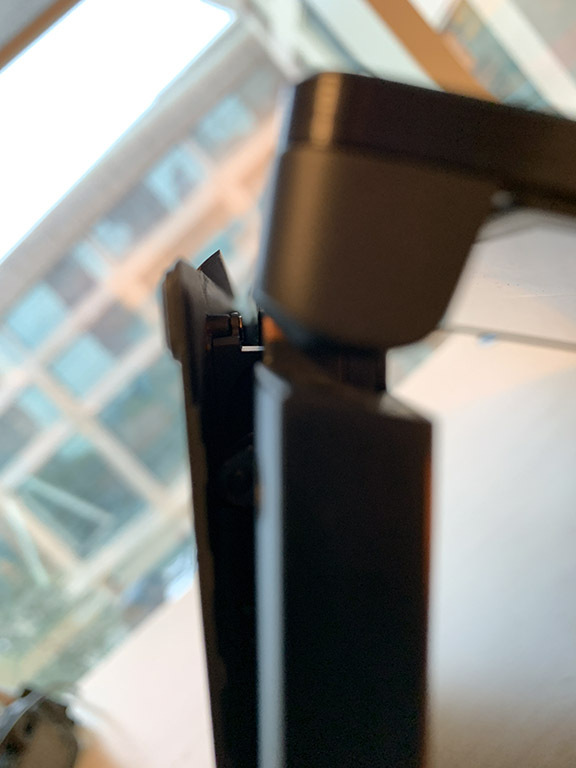 If you look at the screen, you’d notice that it lacks a webcam – worry not though, since Asus has included an external webcam in the package. I rarely use the webcam though, so in the days I’ve spent with the notebook I didn’t even realize it wasn’t there. 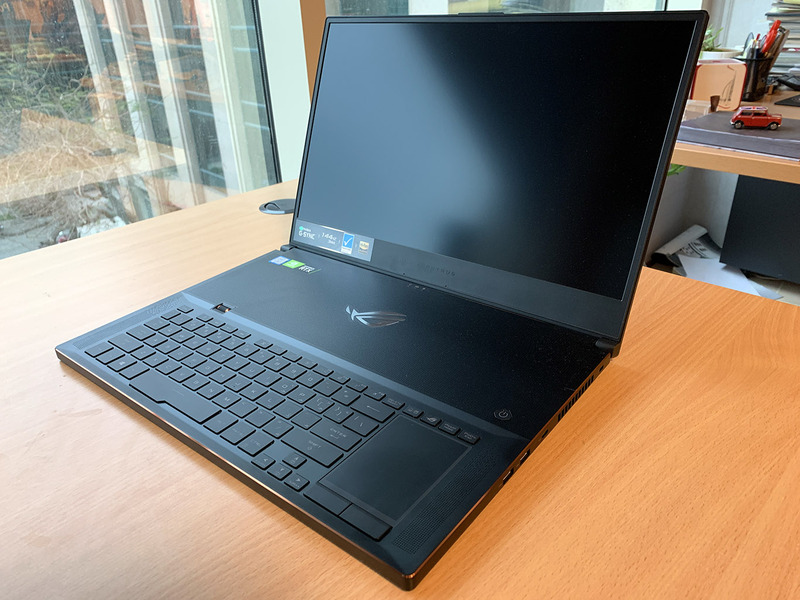 Inside, the Asus has packed the GX701G with some of the best hardware you’d expect from a gaming notebook: there’s an Intel Core i7-8750H along with a generous 24 GB of RAM and a 1 TB SSD. Graphics is powered by the Nvidia GeForce RTX 2080 with Max-Q design. 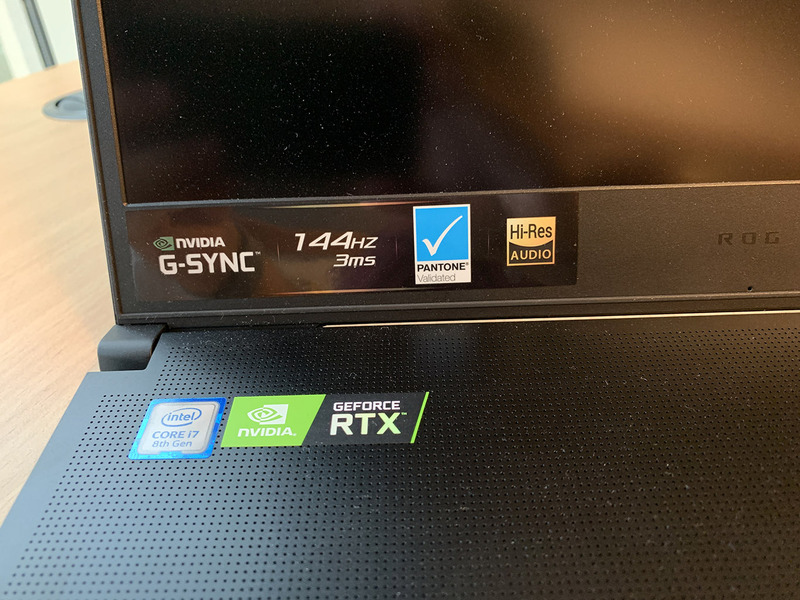 If you want to save on battery life, the GX701G includes manual GPU mode switching you can switch between the Intel UHD 630 graphics or the Nvidia GeForce RTX 2080. The GX701G runs Windows 10 and after setting up you’d be treated with more software options that can enhance your gaming experience. This includes ROG Armory Crate that gives you an overview of your system performance where you can also adjust fan speed or even load game profiles. There’s also Game First V, which is a network optimizer that lets you enjoy online games without any network hiccups. Gaming performance is, of course, excellent on the GX701G. Games like Shadow of the Tomb Raider and Forza Horizon 4 played without any problems, with average fps hovering around 70-90. Even games like Assassin’s Creed Odyssey and Far Cry 5 got very good framerates at 63 fps and 102 fps respectively. The fans churn out louder than what I had expected, but the heat was never a problem in the hours I’ve spent gaming on the GX701G. 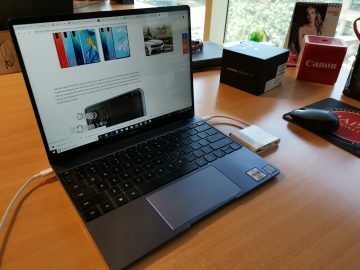 The high-end components do take a toll on battery life – though to be honest I barely noticed since I’ve been using the GX701G on my desk for the past week where it’s ready to be plugged in just in case the battery goes low. 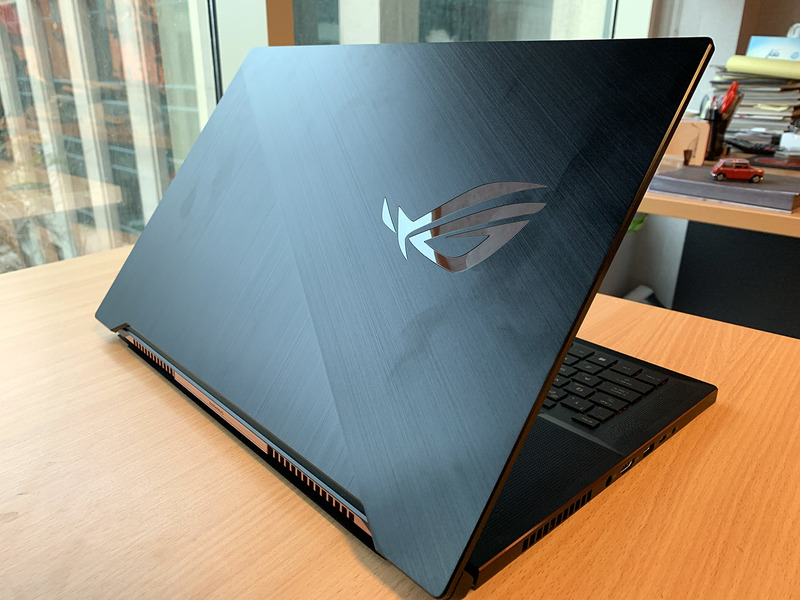 The Asus ROG Zephyrus S GX701G is a bit on the pricey side though: 13,999 AED, which might not appeal to all users. Still, its design and performance are excellent, making this one of our favorite ultraportable gaming notebooks.